grace us with a presentation of clothing styles and designs from 1870- 1970. 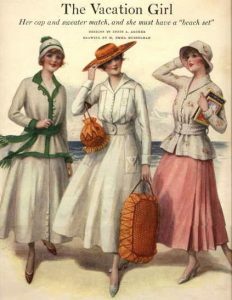 A discussion of American History’s influence on clothing design with examples of hats and clothing from each decade. Sue is also the owner of a Vintage Clothing Museum and Vintage Salon located in Beatrice in her completely renovated, award-winning 1887 Schmuck building.